Available in Apple IOS store, and Android Play Store. Hear it. Know it. 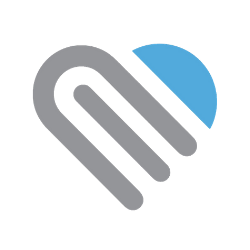 eMurmur is an app based company passionate about using technology to help educators, students, clinicians, nurses and patients give and receive the best heart care. We developed a suite of apps for effective classroom teaching, self-paced learning and accurate murmur detection. Heart auscultation (the skill of listening to the heart and lungs) is poor among health care practitioners. Doctors in the US, Canada, and England were found to be able to detect abnormal heart sounds only 20% of the time. This results in slowing wait times and increasing costs in our healthcare system. Artificial intelligence and e-learning through mobile apps is the way of the future for heart auscultation. eMurmur is committed to making expert-level heart and lung screening accessible to billions of people, saving millions of lives each year and reducing a significant burden on our healthcare systems. The company is headquartered in Ottawa, Canada (CSD Labs International), has an office in Graz, Austria (CSD Labs GmbH) and does business under the name eMurmur. eMurmur ID is clinically tested and validated pending 510(k) & CE marking. ID is an end to end mobile and cloud based app that helps health care practitioners record and share heart sounds over a HIPPA compliant server. It also uses AI to detect and classify heart murmurs with high accuracy. eMurmur University is a classroom-led app for instructors teaching and testing recognition of heart murmurs. It’s paired with another app called eMurmur Primer. Primer helps students practice what they have learned in class. Contact us today for a demo to see how eMurmur University and Primer can help your students prime their auscultation skills. eMurmur Primer CE is a pending accredited 22 continuing education credit course that helps nurses train their heart auscultation skills to better recognize benign and pathological heart sounds and murmurs. Primer's learning modules range from novice to advanced, based on a tested and peer-reviewed heart sound identification method for self-paced learning. eMurmur Heartpedia is designed for patients, families and medical professionals in partnership with Cincinnati Children’s hospital. interactive explanations help anyone with an interest in heart anatomy the defects and the details of over 12 heart condition.